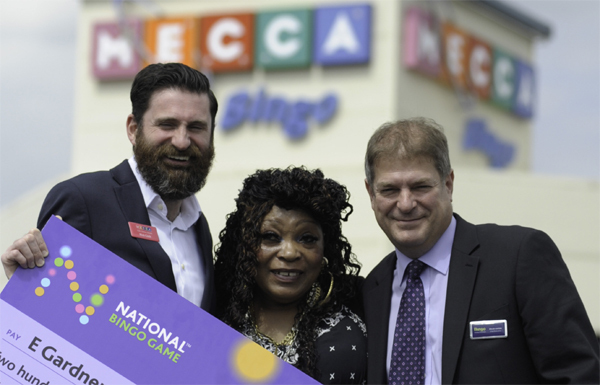 It was an afternoon to remember on Sunday 26 July, as local lady, Ennet Gardner shouted house to bag an incredible sum of £202,005.31 on the National Bingo Game Jackpot at Mecca Bingo, Luton. Club staff members hosted a party on Friday 7th August to celebrate the big win at the club with family, friends and players - it was bubbly and bing all the way. All players must be aged 18 or over. The National Bingo Game is played under the provisions of The Gambling Act 2005 and in accordance with National Bingo Game Rules. Player should always gamble responsibly. For more information and advice ;visit www.gambleaware.co.uk.